While singing his own hilariously politically incorrect songs, Unknown Hinson plays guitar in a style incendiary enough to have Satan himself reaching for the antiperspirant. But don't dismiss him as a novelty act. He's one hell of a talent and has the music to prove it! 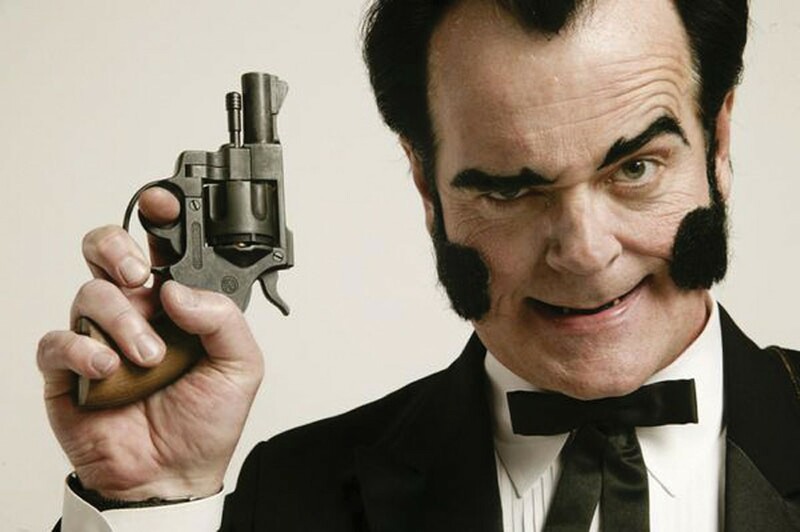 Looking somewhat like Dracula's nasty little brother who spent some hard years drinking and working as a carnival barker for a second-rate freak show, Unknown Hinson translates that vibe to his style of country and western-tinged psychobilly. The band is now touring nationwide, wowing audiences with outrageous and campy, white-trash persona and freewheeling, sleazy tone. Hinson’s most recent CD release, "Live and Undead", melds weepy twang, searing guitar riffs and lyrics that speak of love-gone-bad. Recorded at a sold-out show, an enthusiastic honky tonk crowd sings along with the King on every song. Raucous, theatrical and over-the-top, Unknown Hinson isn’t just for the trailer park set anymore!